'God be with me,' he prayed, but still the lion came on, roaring to split the sky, but now his tone seemed to the Saint more hurt than angry; and then he saw this lion limped on three legs, one front paw hung swollen, bleeding, and misery had so furrowed his face that the Saint could see he had not come to devour but to ask for charity. 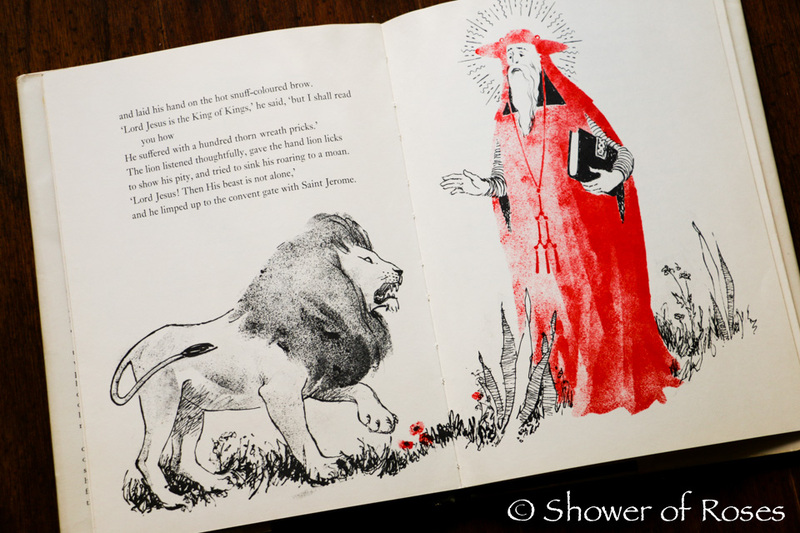 For three nights and days the lion had not slept. and laid his hand on the hot snuff-coloured brow. to show his pity, and tried to sink his roaring to a moan. and he limped up to the convent gate with Saint Jerome. 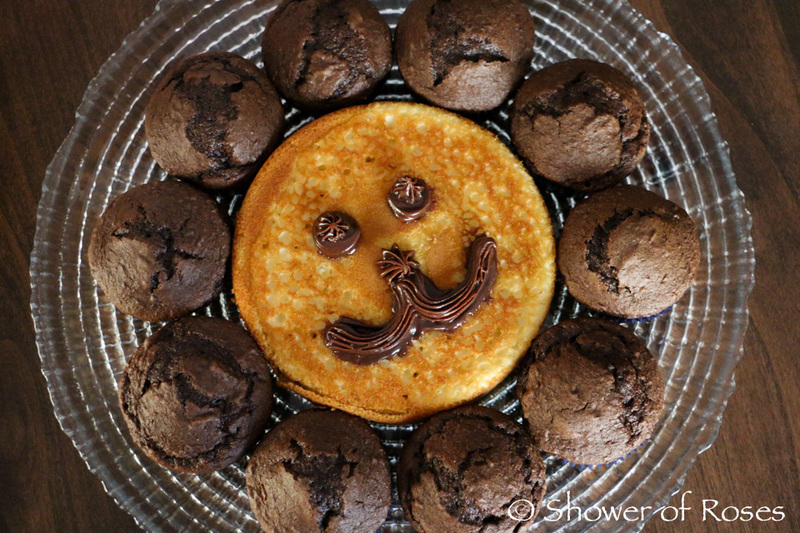 . .
Just like last year, our leftover Michaelmas Cupcakes turned into a lion for today's feast of St. Jerome. The lion's face is a small 6-inch white cake made with some of the batter I whipped up for tomorrow's St. Therese Cupcakes. 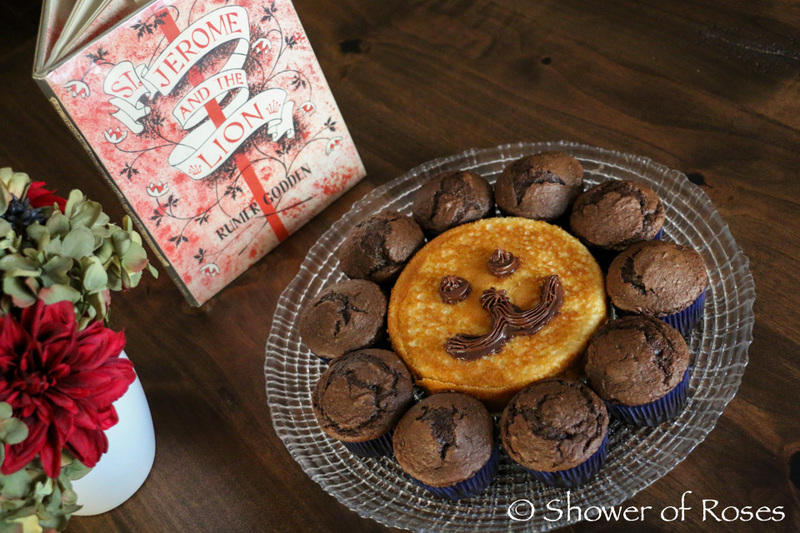 I ran out of chocolate frosting and didn't have time to make more, but our children didn't seem to mind at all as they enjoyed eating them while I read aloud the story of St. Jerome and the Lion by Rumer Godden from this month's book basket. Saint Jerome, ora pro nobis!